Leading designer and manufacturer of customized RF & millimeter wave components and subsystems, Filtronic, has opened its new North American service and repair centre, at its existing premises in Salisbury, Maryland, USA. 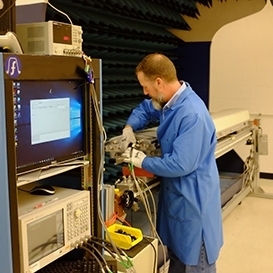 The updated facility now enables Filtronic to carry out repair and refurbishment of antenna and filter products in the US, reducing logistics lead times and costs for our customers. The new capability adds to its existing offerings of sales and engineering support, local US warehousing, rapid order fulfillment and local product configuration for our customers. Filtronic is a pioneer in the design and manufacture of a broad range of customized RF, microwave and millimeter wave components and subsystems. The company's products are used in wireless communication equipment, point-to-point communication systems and adjacent defence/security sectors. It currently serves customers including leading international original equipment manufacturers as well as a wide range of mobile phone network operators. Filtronic designs and supplies sophisticated and customized RF filter and microwave / millimetric products to meet its customers' requirements and thus continuing to develop its global relationships with these customers. The company’s operations include two separately reported business segments; Filtronic Wireless which supplies equipment to both operators and OEM involved in the mobile telecommunications industry and Filtronic Broadband supporting OEM companies supplying wireless backhaul.